With roughly $750 million in construction projects under his belt, Duane Addy has built a career on quality design and rendering production. As many organizations look to send project renderings to the cloud, Duane Addy has stood firm and put his trust in BOXX— a decision he can back with benchmarks. 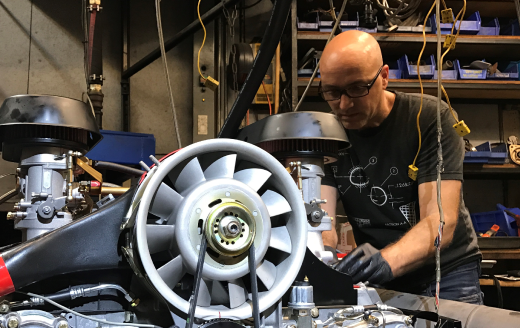 Read how Enfinity Engineering’s Richard Howard became a BOXX champion. 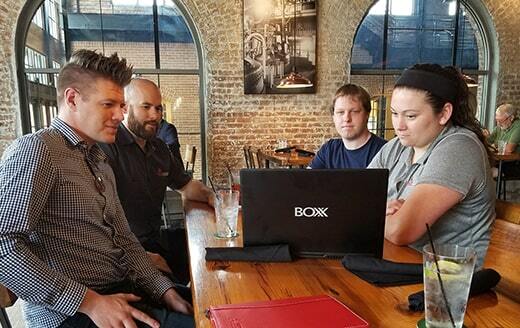 Phil Simon, virtual construction manager for leading Virginia construction company SB Ballard, swears by his GoBOXX, insisting that for Revit, 3ds Max, and Adobe CS6, the mobile workstation is twice as fast as any other machine he’s ever used—and that keeps him one step ahead of the competition. In order to improve their process and reduce the time to render their designs, URS investigated several options and ultimately chose BOXX to help build a dedicated render farm featuring renderBOXX, their purpose‐built dedicated rendering solution. In their new state-of-the-art visualization lab, PBK, a leading architecture and engineering firm, relies on the BOXX RenderFarm on Wheels. Learn more in this customer story and see stunning PBK VIZLab animation in the accompanying video. Award-winning Studio Rendering CEO Sonny Sultani discusses his company’s role in last year’s most expensive retail construction project and how BOXX workstations and renderPRO helped make it possible. As BIM Director for BSA LifeStructures, it was time for Eric Bogenschutz to upgrade the company’s vast network of Dell computer workstations, but Dell’s best new systems could only hit the same old 3.7 GHz. The solution was BOXX, but he first had to convince management and IT. 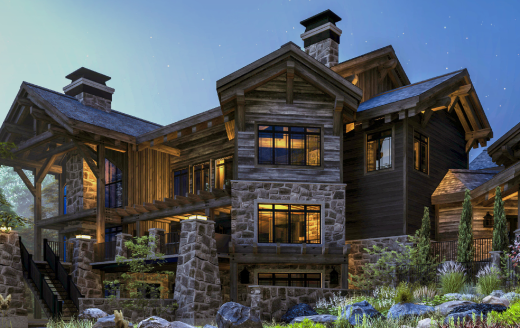 With two multi-million dollar projects on the board, nationally acclaimed Tryba Architects needed to supply their clients with multiple design iterations in order to solve construction issues in the design phase. The solution was renderBOXX, which would increase their rendering performance by an astonishing 90%. Leading “green” architecture firm, SERA Architects, is dedicated to the principles of urban revitalization, historic preservation, creative retro-fitting of existing buildings and sustainable design. GOBOXX MXL VR is instrumental in the Canada-France-Hawaii Telescope Renovation. 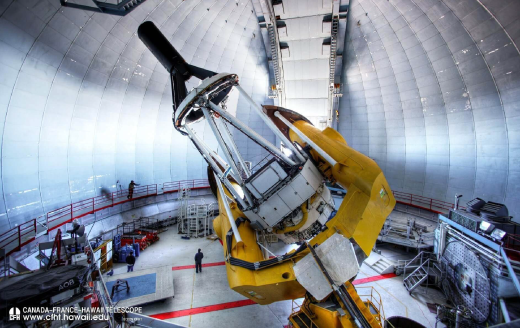 On the big island of Hawaii, atop the13,793 foot dormant volcano of Mauna Kea, sits the Canada-France-Hawaii Telescope (CFHT), a 3.6 meter optical/infrared telescope. 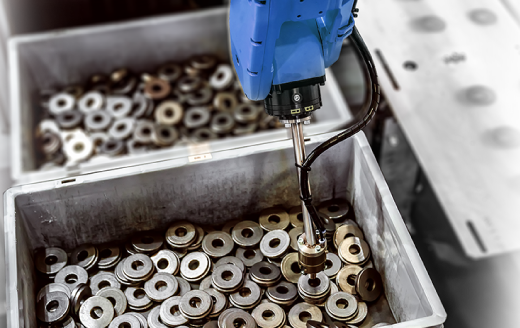 Dassault Systèmes case study reveals how BOXX utilizes SolidWorks to design the world's most advanced computer workstations. Renowned designer Bill Gould relies on a BOXX workstation to stay ahead of his competition. When he got really serious about SolidWorks and KeyShot rendering, Bill opted for a workstation that was "bulletproof" while staying within his budget. When presenting VRED automotive design software, Autodesk’s James Cronin relies on renderPRO. With up to 24 cores per node, renderPRO enables him to take a small renderfarm on the road for realtime design reviews and visualization. “We chose BOXX because of the support and warranty. 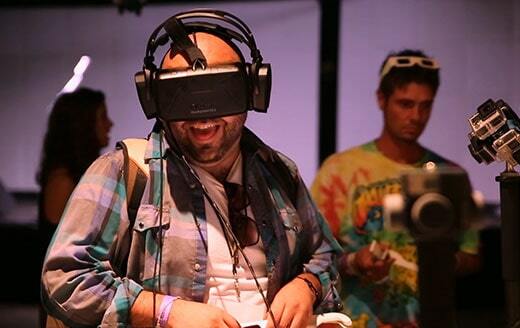 Our call wasn't transferred offshore to a call center and we liked the fact that we were immediately speaking to someone who knew more about 3D than we did,” says Nicky Morrogh, Director of Visrez. Darlene Ollerenshaw, New Jersey native and founder of CGI product visualization and 3D animation studio Pep Creative, relies on BOXX while breaking into an exclusive boy's club and revving up awesome automotive visuals for Mercedes-Benz. SolidWorks expert and self-professed motorcycle and car enthusiast Matt Perez decided to create an advanced surfacing tutorial of a 2010 Chevy Camaro and make it available for free online. How did a small design firm like MotoCzysz become the winningest American motorcycle manufacturer at the Isle of Man TT? Discover how BOXX keeps MotoCzysz in the lead. 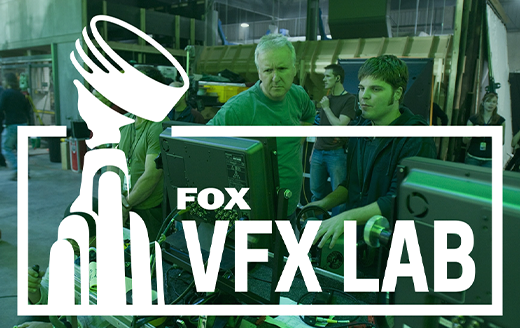 The virtual production arm of Fox Feature Film Entertainment relies on world class artists, engineers. . . and some incredible hardware from BOXX. As our friends and neighbors in the tech mecca of Austin, Texas, the brilliant minds at Thrillbox provide an immersive media platform, spellbinding 360 content from all over the globe, and the only behavioral analytics platform designed for VR, AR, and 360 videos. How do they keep it thrill? With BOXX, of course. 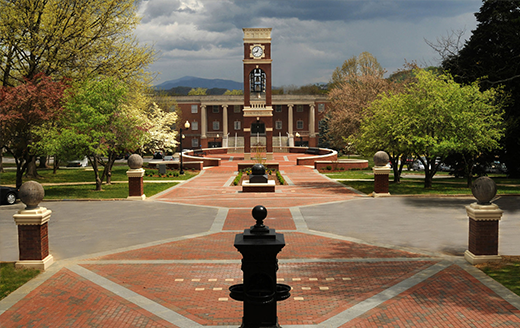 Thanks to department chair Marty Fitzgerald, East Tennessee State University’s animation program runs on BOXX and educates 300 undergrads in four key areas of concentration: animation, VFX, visualization, and game development. Steve Choo’s boutique design, VFX, and animation studio, My Active Driveway, goes big with BOXX, creating national commercials for high profile clients. Meet Webster Colcord, the animator and motion capture artist who relied on a battle-scarred BOXX workstation to bring Seth MacFarlane's Ted to life. Learn more about Colcord's work 'flows', philosophies, and experiences in this exclusive BOXX interview. When BOXX introduced the APEXX 5, the most advanced workstation in the world, Windsong Productions, a state-of-the art California production studio, was first in line, taking their creative business to new heights. Caffeli relies on powerful dual Xeon BOXX workstations to reduce their render times dramatically. Read the Intel solution brief. Kino Gil is a filmmaker, producer, writer, VFX artist and more. He's also a satisfied owner of a BOXX workstation. Read his first hand account of his experience with BOXX! With their flagship rendering software, V-Ray®, Chaos Group has set the standard for speed, quality, reliability and ease of use with their innovative rendering solutions. Find out how GoBOXX helps them deliver "breakthrough solutions." Over forty years after the premiere of Stanley Kubrick’s “2001: A Space Odyssey,” VFX designer/director Oliver Zeller and his partners at the NAU design collective pay homage to the legendary motion picture with a visually stunning short entitled “Immersive Cocoon.” Learn how a BOXX solution with 3ds Max helped make it all possible. While creating VFX for a BBC television series, veteran CG artist Chris Taylor was part of a team assigned to produce 1800 VFX shots in only 6 months. The solution was BOXX. Now, as he completes his own feature film LVJ, he needs this sci fi indie to look like a Hollywood blockbuster. The answer again was BOXX. Brian Stark (along with Judy Hahn) is the founder of Metro DMA and The Stark Agency. Their latest client, best-selling author Stephen King, contracted with them in 2007 to orchestrate a complete overhaul of the author’s websites stephenking.com and The Dark Tower Official Web Site. In collaboration with Chaos Group, Kevin Margo from Blur Studio is pioneering methods for final-frame, GPU rendering with the short film CONSTRUCT. 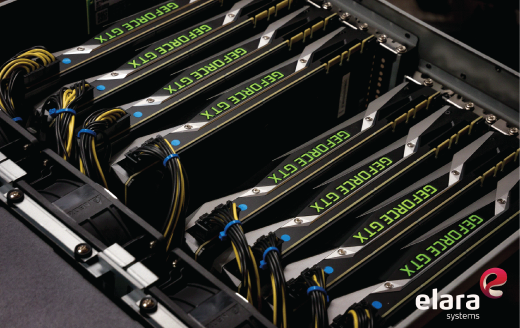 Using BOXX GPU edition workstations, we interviewed Kevin on this groundbreaking project. Whether he’s creating iconic fantasy vehicles for Hollywood blockbusters like 'Tron: Legacy', 'Captain America', and 'Prometheus', or authoring books like Cosmic Motors™ and The Timeless Racer®, concept designer, producer, and author Daniel Simon runs on all cylinders with BOXX.